Dashing to high risk deliveries and pushing isolettes was no longer an option for Cathy Trumbull, RN. Six years ago, she was diagnosed with Pulmonary and Osteo Sarcoidosis, and the physical challenges of NICU nursing had become too demanding. Sarcoidosis is a disease that results from a specific type of inflammation of tissues of the body. It can appear in almost any body organ, but it starts most often in the lungs or lymph nodes. As sarcoidosis progresses, microscopic lumps, called granulomas, appear in the affected tissues. The disease can develop gradually and go on to produce symptoms that come and go, sometimes for a lifetime. The cause of Sarcoidosis is unknown and to date there is no known cure. Cathy did not permit her condition get in the way of her nursing career, or from helping others cope with this debilitating malady. She decided to switch from a hospital nursing position to corporate Clinical Coordinator for a travel nursing company in 2002. As a liaison to high-ranking children’s hospitals Cathy draws on her 20 years of NICU nurse expertise to help other nurses build successful travel nursing careers. Many nurse professionals like Cathy have found that making the switch to healthcare staffing is a rewarding career move. In addition to her numerous professional achievements as a Clinical Coordinator, Cathy has formed the East Tennessee Sarcoidosis Support Group (ETSSG) and is involved in a national Sarcoidosis research project spearheaded by Dr. Wonder Drake at Vanderbilt University. Cathy’s persistence led to Dr. Drake visiting East Tennessee this April, for a presentation to Sarcoidians and physicians on the remarkable research underway at Vanderbilt. Cathy also utilized her people skills and healthcare background to arrange a news interview with Dr. Drake on the nationally syndicated Dr. Bob Show. “Nurses are often ideal people to start a medical support group due to their professional and personal background and their strong desire to help those in need. The ETSSG has been a great opportunity. 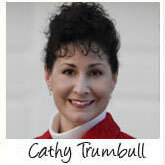 It has been rewarding on so many levels.” – Cathy Trumbull, RN. Cathy reports that April 2008 will be the first National Sarcoidosis Awareness Month. A nurse in Chicago (Glenda Fulton) pushed to have it added to the national calendar for several years and it finally made the list last October! Glenda is very active on the national/political scene and she will be presenting at the National Institute of Health and congressional hearings in June.